I just upgraded my AOS4.1FE on my PPC A1200. I had also other freeezes with other programs. well, I can reinstall AOS4.1FE again, I have the cd, but shouldn't an upgrade be for the better? satiropan wrote: I just upgraded my AOS4.1FE on my PPC A1200. Strange. 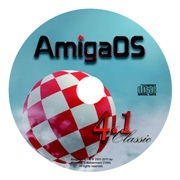 Can you confirm everything is working fine on AmigaOS 3.9 side? (PPC etc...?) Since you were able to make it through the installation that tells me the PPC is likely OK. 4.1 does stress the PPC more than it would under OS 3.9 as the 68k on the Blizzard is totally disabled and the PPC is used 100% of the time. Is your ram set to 70ns ? I can confirm the same problem update 1 here. Lot of applications just crash with frozen mouse, rarely with reset. usually demanding applications like Netsurf and Odyssey. At first I thought that I should lower the speed of memory from 60 ns to 70ns but that didnt help. Then I dissasembled my Amiga 1200 tower and reinserted/cleaned contacts. I tested with MiniGL demos to see if problems will arise with system 100% busy but it survived 3 hours without problems. The crashes occurs in a dynamic use, not the static high CPU load. Then I tried to turn off commodities from WBStartup Preferences (AsyncWB, DefIcons; RAWBinfo, ScreenBlankerEngine, ClickToFront, ContextMenus, AmiDock, RinghioServer). Most of the system freeze also led to improper internal BlizzardPPC clock (date was OK, but time was not correct any more). I tried to use battclock.resource.kmon from the ordinary FE release in combination with update 1 also. Now I am back to regular FE release and the system is stable. I have a dual boot set up (normal FE, FE update1) so I can test further. I have to check also without new MUI release because that is also upgraded. What can I do to test some more? Some debug mode to test more? I tested new MUI with regular AOS 4.1 FE and no problems appear. System is stable. I will try now with FE Update 1 and old MUI installation. Somehow I suspect that operating system crash with MUI programs. I will test new combination. If that doesnt help I will install clean FE with update 1 and test. Ive had similar issues after upgrading but always make a complete system backup before doing it. so it was easy to revert back. I hope a patch will come. Just thought I'd elaborate a little bit. I've done some testing with a fresh install of OS4.1 Final. With that set up, I seem to have no issues running the more demanding applications like Dosbox, OWB and Timberwolf (rc1. rc3 wont run for some reason). After applying Update 1 it's a whole different story. Aforementioned apps do not work at all. For example, Timberwolf (I was quite focussed getting it to work again) always crashes when loading. When this happens the OS4.1 logo appears (trough my indivsion) but its a lot dimmer than usual, for some reason. There is repetitive hard drive activity, but nothing is loading. OS4.1 never comes on. In such cases, I have to do another reboot to get back to OS4.1. Since everything was finally running okay for me without Update 1, I went back to a clean install of 4.1 Final and am not going to bother with Update 1 until someone knows how to deal with the issues mentioned. I do, ofcourse, appreciate the work that's gone into it.